6479 km and four plane segments later and you are still touching down on Canadian soil. 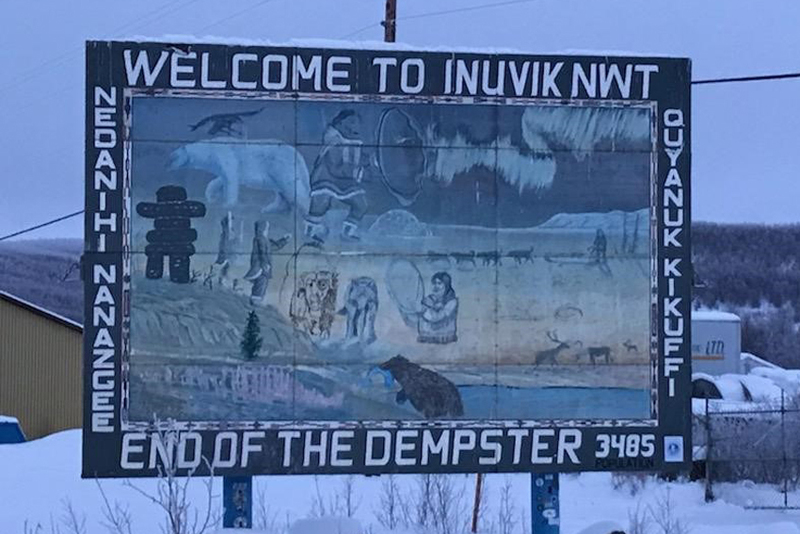 Susan Dale, National Implementation Coordinator for the Fourth R and Vulnerable Youth project and Alicia Lapointe, Research Scientist for LGBT2Q+ Youth Programs traveled to Inuvik, Northwest Territories (NT) from December 3-7, 2018 to facilitate trainings in the Healthy Relationships Program for LGBT2Q+ Youth and Healthy Relationships Plus Program – Enhanced within the Beaufort-Delta Educational Council (BDEC). 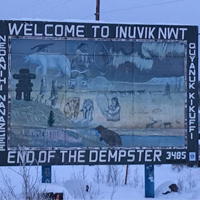 The Beaufort-Delta Education Council is the most northerly school board in the Northwest Territories with all eight communities and nine schools located north of the Arctic Circle. The BDEC serves approximately 1400 students in the region, and is responsible for about 200 administrators, teachers and support staff. The nine schools are located in the following communities: Aklavic, Fort McPherson, Inuvik, Paulatuk, Sachs Harbour, Tsiigehtchic, Tuktoyaktuk and Ulukhaktok. 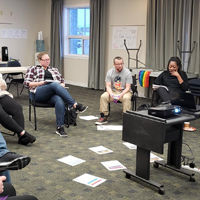 The trainings for the Healthy Relationships Program (HRP) for LGBT2Q+ Youth and GSAs are being held in collaboration with the NT Department of Education, Culture and Employment (ECE) with the intention to train a staff member from each school in NT to better support LGBT2Q+ youth. Since the beginning of October 2018, trainings have been held in Yellowknife (October), and Inuvik (December); next up will be a training in Norman Wells in February. Following these three trainings, staff members representing each school district in NT will be trained. In addition to supporting LGBT2Q+ youth, as part of NT Safe School legislation, each school in NT is required to provide healthy relationships programming to all students. In order to reach this requirement, the NT Department of ECE has endorsed the Fourth R and the Healthy Relationships Plus Program (HRPP) for use in schools. This year, teachers are being trained using the HRPP – Enhanced version. This trauma-informed version is a good fit to meet the needs of vulnerable youth. 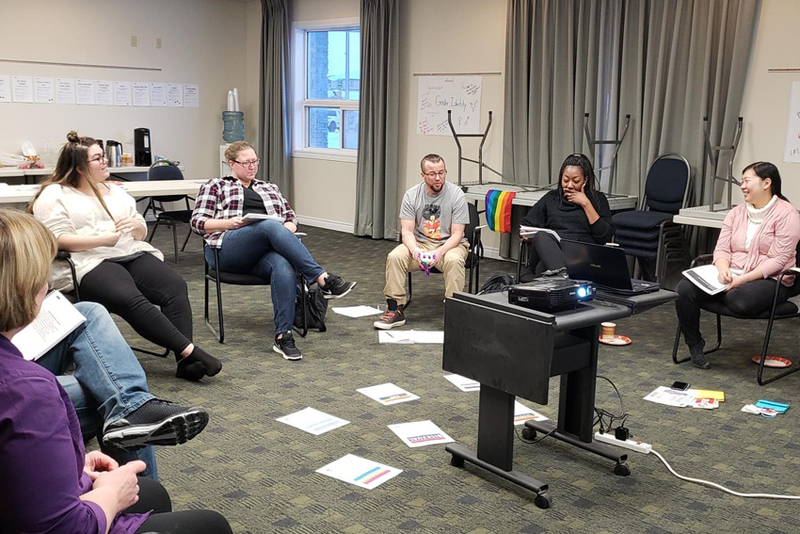 “During the three days of training in HRP for LGBT2Q+ Youth and HRPP – Enhanced, we not only shared knowledge, but also gained the understanding of the unique settings where each school is located in NT” says Susan Dale. Participants of the trainings included teachers and administrators who represented schools ranging from 15 students in a K-9 school to 600 students in a K-12 school. Susan also shared the experience of recess time when the sun doesn’t rise, “lots of yard lights provided safety for students during recess so that they were not entirely in the dark!” Inuvik is currently in the period of 30 days without sunlight. The return of the sun will be in early January. 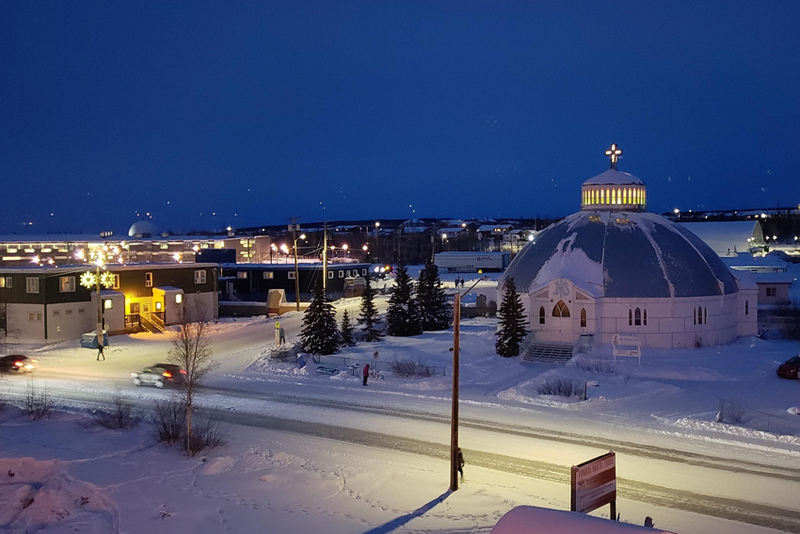 The Inuvik Sunrise Festival is a weekend of local food, dance, music and winter activities, including sunset yoga and sno-pitch. On the Saturday night, a party on the permafrost continues the festivities with a giant bonfire and an incredible display of fireworks. In 1958, Inuvik became the first planned town north of the Arctic Circle. Building a town from scratch, on the permafrost, in the Arctic was a major undertaking. Construction was not an easy task. The presence of permafrost meant building had to be on piles, and above ground utilidors for water and sewer were needed. 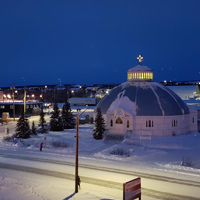 Inuvik offers the comforts of urban living in an arctic setting. Visitors can experience several cultures here, and true northern hospitality. Inuvik is situated on the East Channel of the Mackenzie Delta. It is 10 degrees farther west than Vancouver, British Columbia. The community is within the taiga forest, just south of the tree line and west of the open tundra. The Arctic Ocean is only 97 kilometres north and the Arctic Circle is 200 kilometres to the south. Inuvik is the government centre and transportation hub for the Western Arctic and home to a community of approximately 3400 people. Winter is the time for "noon moon" activities such as driving on ice roads, snowmobiling, dog sledding and curling. The Inuvik area is a snowmobiler's heaven, with 10,000 kilometres of Mackenzie Delta channels to explore, as well as tundra trails north to the Beaufort Sea coast and west into the Richardson Mountains. The Aurora Borealis ("northern lights") can be seen during the dark months. Locals say that Inuvik is so far north that they have to look south to see the northern lights! The extreme low in Inuvik is -56.7 degrees Celsius and the extreme high is +31.7 degrees Celsius. 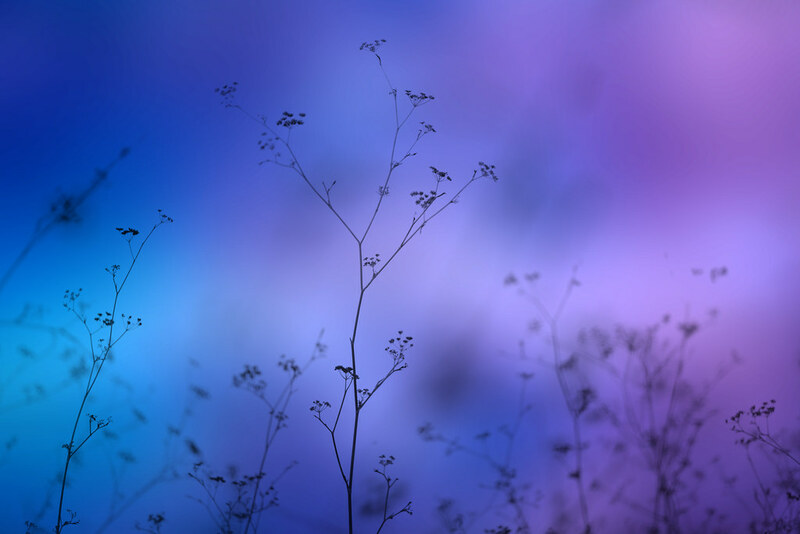 The mean average temperature over the course of one year is -9.7 degrees Celsius.